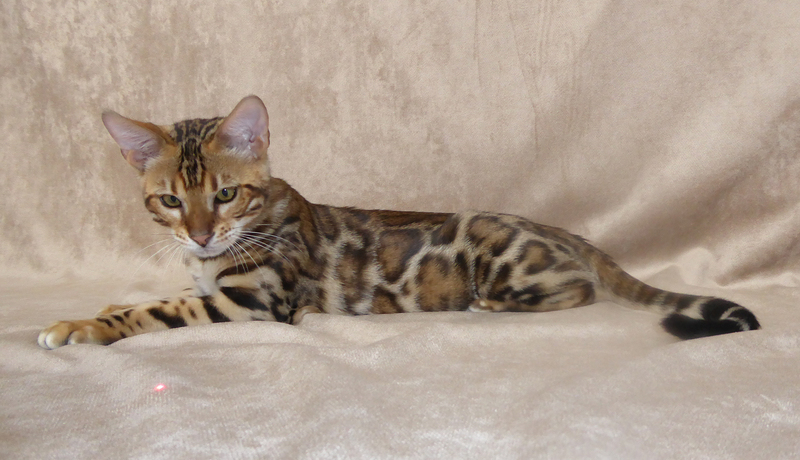 ROMEO is our stunning Russian import from Mangosteen Bengals. 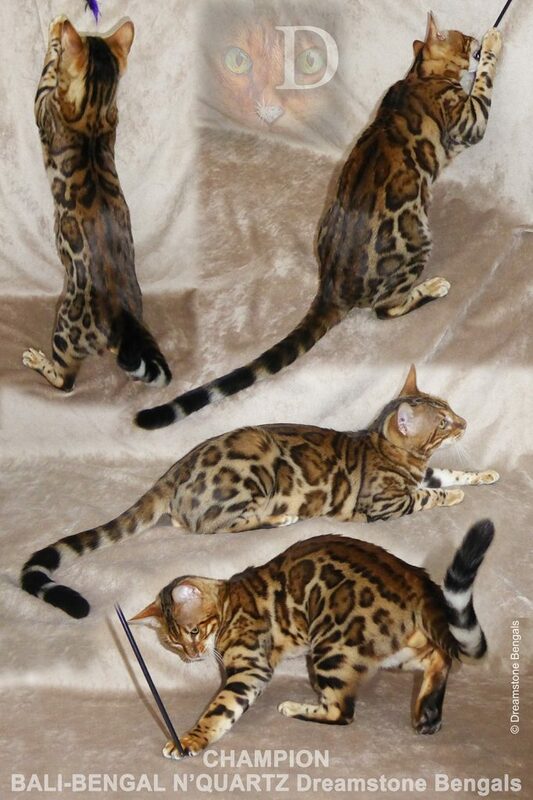 This boy has it all; He has the most incredible symmetrical rosetted pattern with no barring, a superb contrast with a very clear background and the shortest silky pelt. Romeo is a huge muscular boy with a very strong chin and fantastic profile. We are proud to have him in our breeding program. N’QUARTZ is our charming French import from Bali Bengal. N’QUARTZ is our charming French import from Bali-Bengal. We have nicknamed him our ‘big friendly giant’ because of his outstanding temperament and loving personality. This striking boy has an incredible glitter coat with large doughnut rosettes and outstanding contrast. N’QUARTZ has an excellent profile, strong chin and the wow factor. N’QUARTZ is our new stud for late 2017. Below: N’QUARTZ at 5 months old. 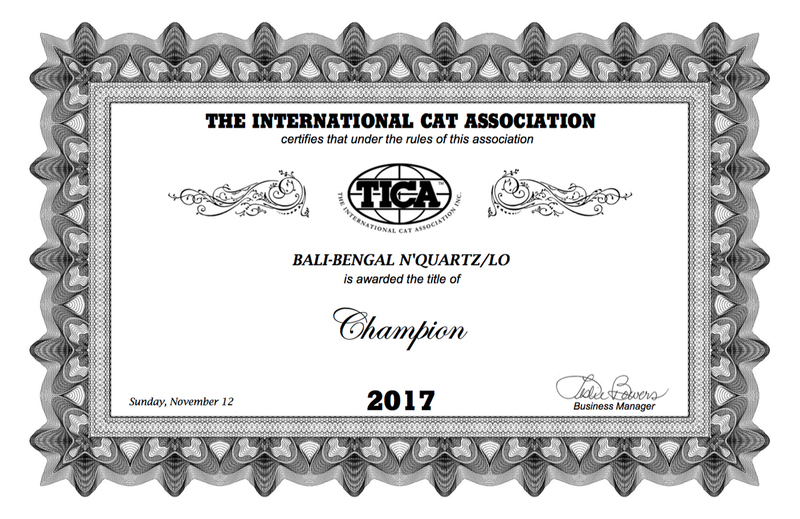 TICA Champion Certificate for N’Quartz. N’QUARTZ at 5 months old. Dax our new star boy from Brockenmoor! 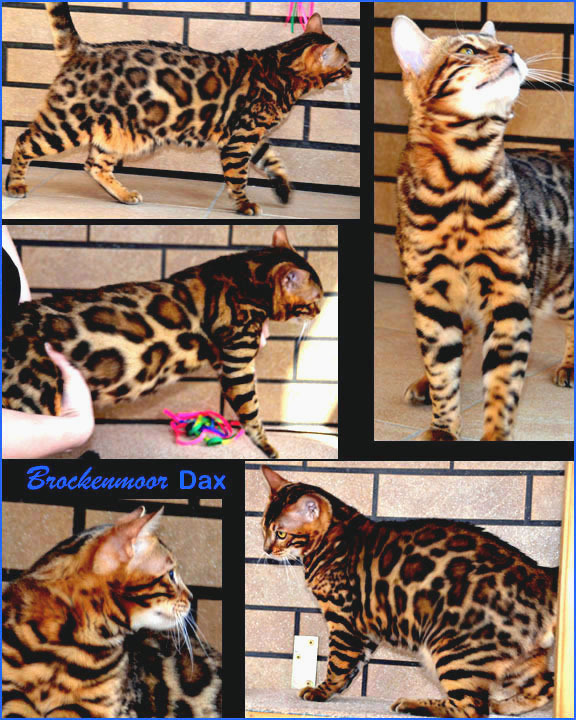 We are privileged to have Dax, to continue the Brockenmoor pedigree in our breeding programme. Dax has a very large and strong body type with an excellent straight profile, nice head with puffy whisker pads. He has striking big green eyes and perfect small ears. Dax has fantastic rosettes with a strong outline and super contrast colour. 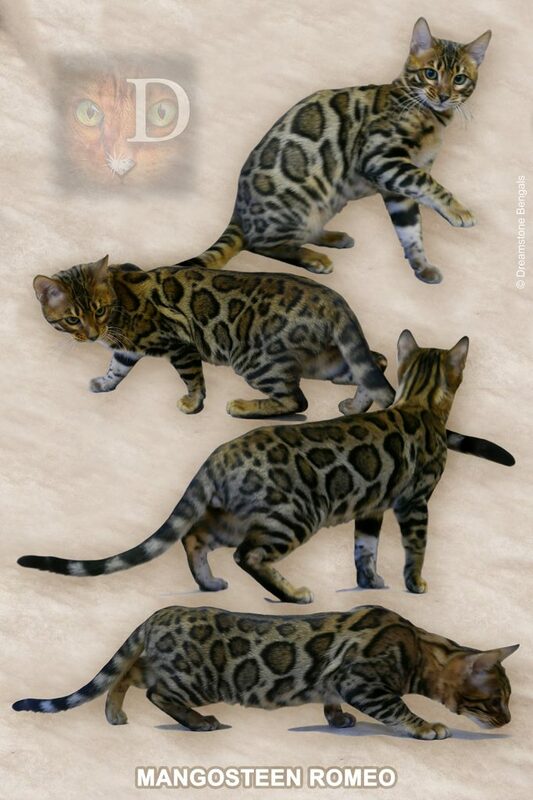 He is a proven stud who produces fantastic kittens and passes on his outstanding genetics to his offspring.